Young, Sarah. Jesus Calling: Enjoying Peace In His Presence-Devotions For Every Day Of The Year - Hardcover. Meyer, Joyce. 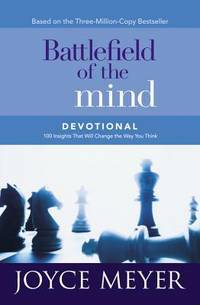 Battlefield of the Mind Devotional (MEYER, JOYCE) - Hardcover. Maxwell, John C. Leadership Promises for Every Day: A Daily Devotional - Paperback. From Battlefield Of the Mind Devotional to God Calling, from	Holiness Day By Day to Faithbook Of Jesus, we can help you find the devotionals books you are looking for. As the world's largest independent marketplace for new, used and rare books, you always get the best in service and value when you buy from Biblio.com, and all of your purchases are backed by our return guarantee. God Calling presents the wisdom of Christianity through the ears and then the voices of Two Listeners. For each day, every dayfor all dayshere are the time-tested words of counsel, comfort, encouragement and wisdom that have inspired countless thousands throughout the years. The words of the Great Friend are given daily presence in God Calling made easily available for all, to ease and simplify the chaos and pain of our tension-wracked world. Enjoy the expanded and updated editions of the best-selling "Lord" Bible Study Series from Kay Arthur. The "Lord" study series is an insightful, warm-hearted Bible study series designed to meet readers where they are--and help them discover God's answers to their deepest needs.Discover the Limitless Power of God's Name. So much of our confusion and pain results because we don't know God -- who He really is, how He works in our lives. But with Lord, I Want to Know You, that will all change. When you know God more fully by studying His names -- Creator, Healer, Protector, Provider, and many others -- you'll gain power to stand strong. You'll find strength for times of trial, comfort for pain, provision for your soul's deepest needs. And your walk with God will be transformed. Let Kay Arthur guide you through the Scriptures in this deeply insightful study. Your daily time with God in His Word will introduce you to the limitless treasure available to you as His child. And these are truths you can share easily with others, individually or in small groups.From the Trade Paperback edition. John Piper, pastor of Bethlehem Baptist Church in Minneapolis since 1980, is the author of Desiring God, Future Grace, A Godward Life, The Pleasures of God, Pierced by the Word, and Dangerous Duty of Delight. He holds degrees from Wheaton College (BA), Fuller Theological Seminary (BD), and received his doctorate in theology from the University of Munich . He taught biblical studies for six years at Bethel College , St. Paul , before becoming a pastor. He and his wife, Noel, have four sons and one daughter.